I received this Mike Franklin designed mini fixed blade as part of my birthday present from my fiance, who was my girlfriend at the time. She was so nervous giving me knives as a gift, since she didn’t know much about them. 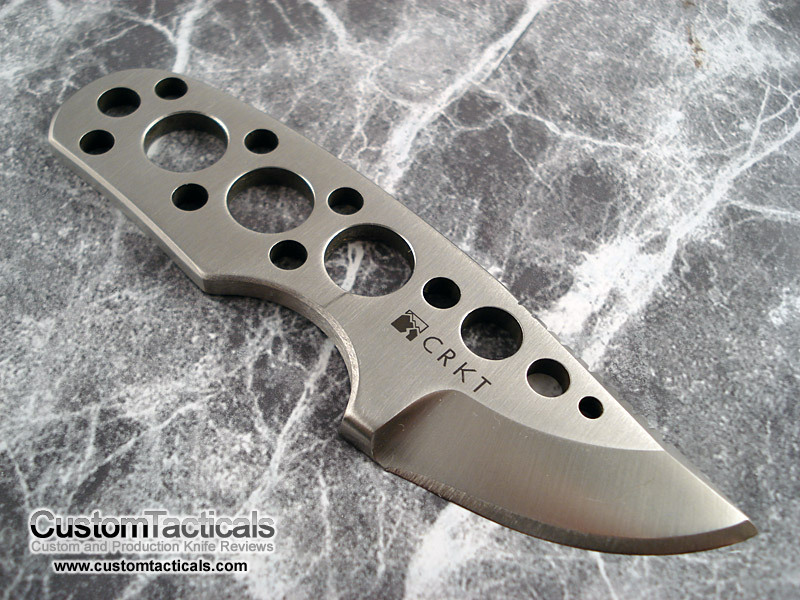 I think this is a cool little knife, even though it is a relatively cheap little guy. Steel on the Side Hawg is 420J2, which is not the most serviceable steel around, but will cut and sharpen. There is some sentimental value for me associated with this knife because it was a gift from my fiance, so I may look at it in a different light than I would have otherwise. The grind on the knife is a chisel grind, which is not generally what I prefer, but due to the design of the sheath and this knife in general, it is the only way to do it. The design is actually quite unique and creates an extremely slim package while maintaining the safety of a conventional sheath. The knife is chisel ground and then locked in flush to the “sheath” with a metal snap-lock. This presses the sharp edge of the knife against the sheath, which has a slight raised ridge that covers the edge of the blade, thus protecting the blade and anyone from cutting themselves on it. You can then pop the knife in your pocket or dangle it from your neck, or whatever you like. The knife is more of a back-up peice, meant to be carried as a last ditch knife. The 1.63″ blade is not going to be enough in a lot of cases, and the design does not lend itself to being used as an EDC unless you carry it as a necker. The deployment of the knife as a necker is not that convenient, however, which makes it a less likely choice than other neck knives out there. 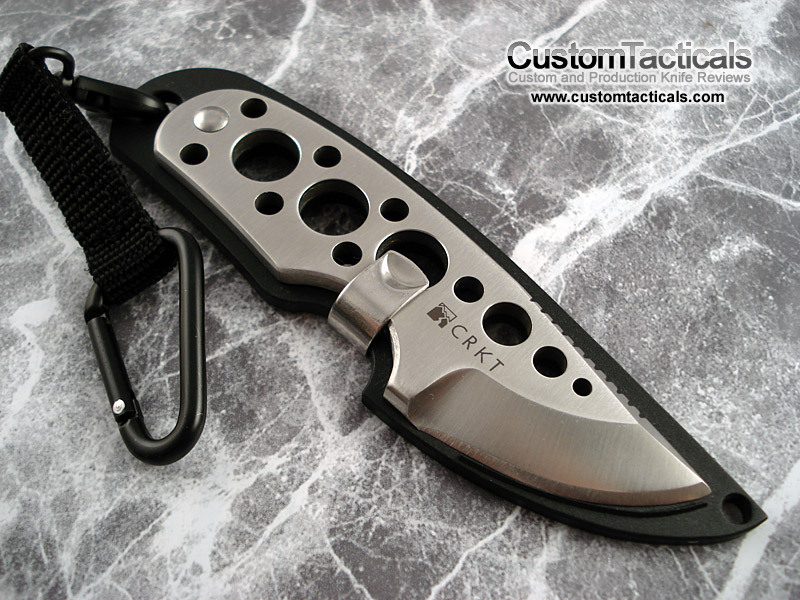 Overall the knife has limited use, but does have potentional as an interesting and creative design. 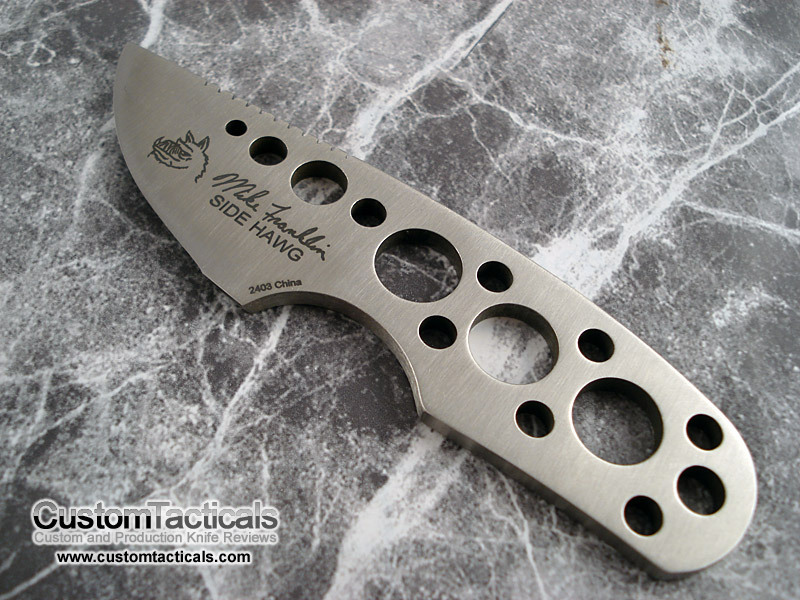 Mike Franklin has extended this design in his custom peices, having Side Hawgs attached to the scales of his folders as well. I wouldn’t have purchased this knife myself, but I like it because it was a gift from someone that means a lot to me.